A push-your-luck dungeon delve in which 2-4 players take turns essentially daring each other to go into a dungeon with less equipment than they start off with while filling the dungeon with monsters. 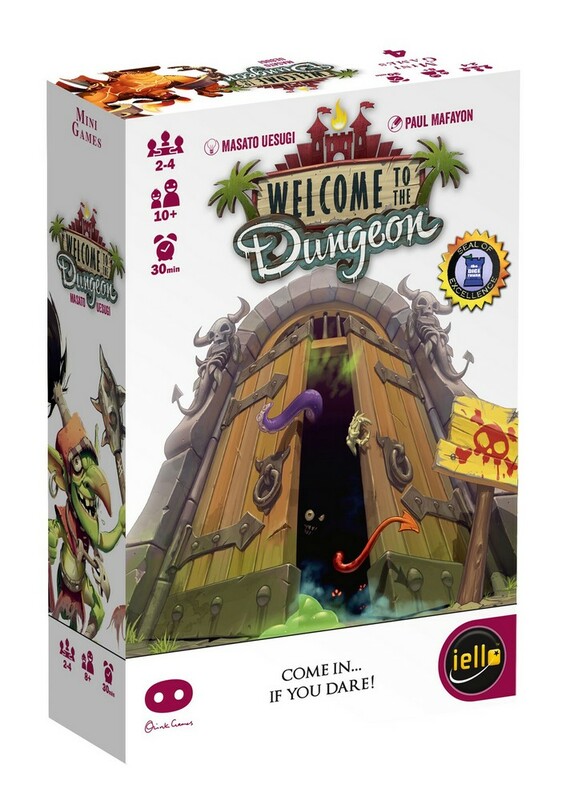 Welcome to the Dungeon first released as Dungeon of Mandom is a push-your-luck dungeon delve in which 2-4 players take turns essentially daring each other to go into a dungeon with less equipment than they start off with while filling the dungeon with monsters. Players can win the game by winning 2 rounds or get eliminated from the game by losing 2 rounds. Each player has a 2-sided players card that has a white side and a red side. The first win taps the player card and the 1st loss flips the card over to the red side. A 2nd loss will have the player turn the card back into the box.